Iwé got some requests for the "180" bots server, this is the files i used when i experimented with the player limits settings, should work fine for some lan games/single player and such but they are outdated for the server crash vulnerability codes. When i played around with this i found a somewhat upper limit about 180 bots, after that it could work sometimes and sometimes it crashed. It seems to work best to put the bots on axis side for some reason. If you experiment with the limits please do post your results. Is there a way to do this mapside? I'd like to make one of my maps with an extended amount of bots. I'm somewhat confused as to how to get this to work. I replaced the executable from the zip in the main folder, replaced the game.rfa with the one in Mods/bf1942/archives/bf1942 but i got the same amount of bots: 64 everytime. Carnie The Clown wrote: I'm somewhat confused as to how to get this to work. 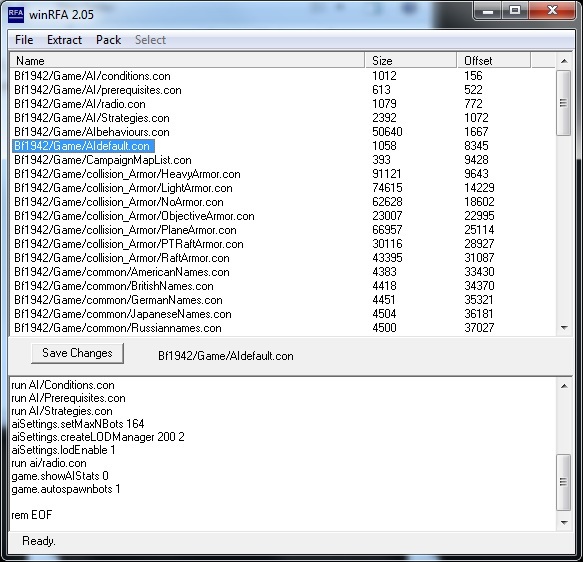 I replaced the executable from the zip in the main folder, replaced the game.rfa with the one in Mods/bf1942/archives/bf1942 but i got the same amount of bots: 64 everytime. Same here! I tried the same thing. 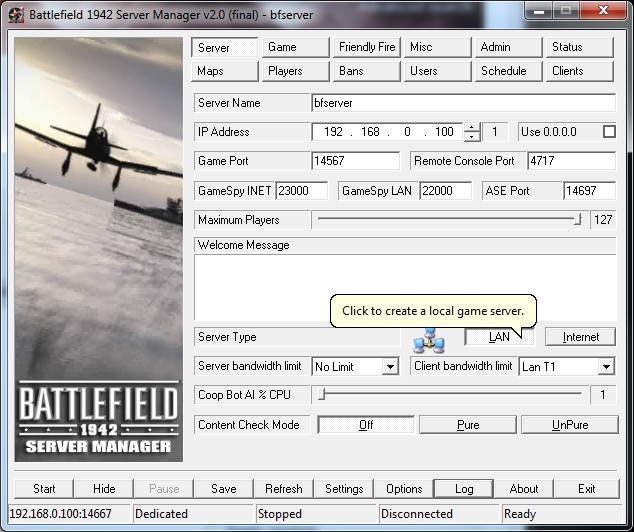 its for dedicated servers, if you run that file it starts a bf server, you can then start your game and join it. freddy wrote: its for dedicated servers, if you run that file it starts a bf server, you can then start your game and join it. Is there a way to do this just for LAN games? If so, how? Hold on. It says max players is 128. Does the game automatically add extra bots?